Do you celebrate Valentine's Day? I don't personally, but that's only after we were sitting outside of a restaurant in freezing cold weather waiting two hours to eat dinner one Valentine's Day night. We looked at each other and said, "You know, if we come back tomorrow the wait will be 15 minutes." So we went to the store, got a frozen pizza, and went home. Ever since then, we've decided not to dote on each other on February 14th. Any other day will do! ....BUT since I'm a teacher, I still get doted on on February 14th! 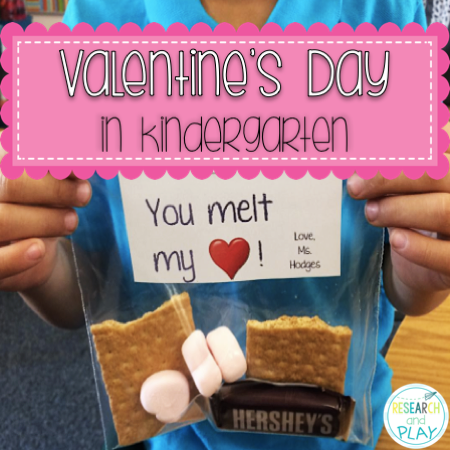 Kindergartners are just the sweetest, but on Valentine's Day it's even more apparent. 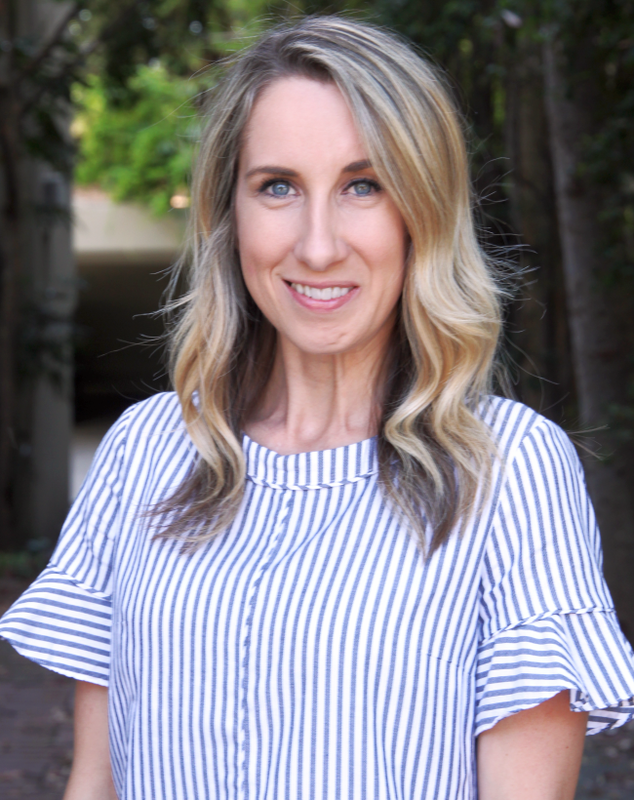 I'm sure we've all enjoyed a few special V-Days in the classroom complete with those heart-shaped boxes of chocolate and hand-picked flowers from the walk to school. So, I guess as long as I'm in the classroom I'll still get to enjoy those classic Valentine's treats! So how do we actually celebrate Valentine's Day in the classroom? It's fairly simple. There is not a party, no cupcakes, and definitely no treat bags full of candy! We talk about the reason WHY people may celebrate the holiday, have a discussion about showing each other appreciation and love, and then we actually do hand out Valentine's cards. Because you can't be a kid and not hand out V-Day cards. It's a tradition I can't part with! I like to plan my activities on Valentine's Day to still be standards-based and academic while still being fun and thematic. 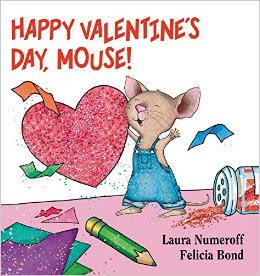 We read Happy Valentine's Day, Mouse! by Laura Numeroff . This is a great book for making connections and asking and answering questions about the text. During phonics/word study time, my students work together in small groups to play A Perfect Match. 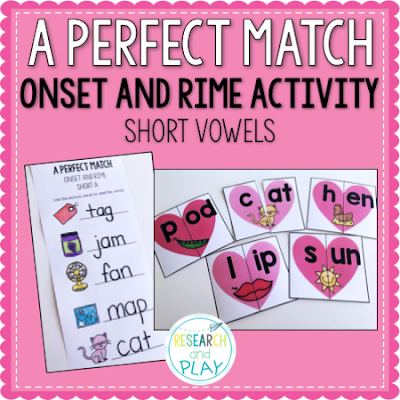 This onset and rime activity allows students to practice making CVC words, checking their own work, and spelling the words. You can click on the picture below to check out this fun game that your students will surely love to play! You can also use it as a center game as it can be done individually, in partners, or in a small group! At the end of the day, my students all gather round on the rug with their V-Day card holders (we sometimes decorate brown paper bags, and sometimes we have students decorate bags at home) and take turns passing out their cards. When they are done, I pass out my Valentines! Although I typically don't allow unhealthy foods in class (district policy, not mine! 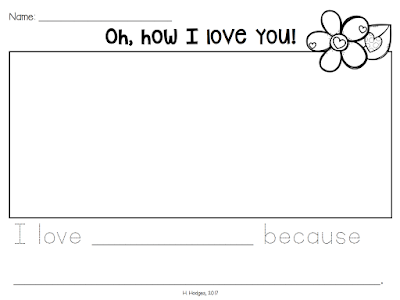 ), I look the other way on V-Day when I give these Valentines. You can get the label and instructions by clicking HERE! 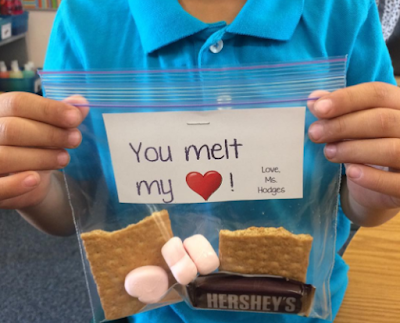 Graham cracker halves, heart-shaped marshmallows, and a small Hershey's bar! That's it! I hope you all have a wonderful, loving, sweet Valentine's Day with your little sweethearts! It is great to see the Valentine day celebrated in Kindergarten and spreading the love among kids.